This year was always going to be a big one for Netflix. The streaming service is nearly one-quarter of its way through the $5bn content and acquisition strategy it promised for 2016, with 600 hours of original content scheduled for release before December ends. Most of that will be available globally, including their three fastest-growing markets, India, Japan and Korea, while the bulk of it's exclusive content will be television shows. 30 have been slated for this year, including the return of Daredevil, Orange Is The New Black, and 80s favourite Voltron. There'll be plenty of Netflix-only movies too, ten at the last count, with War Machine, Special Correspondents and Pee Wee's Big Holiday due before the Christmas sales begin. 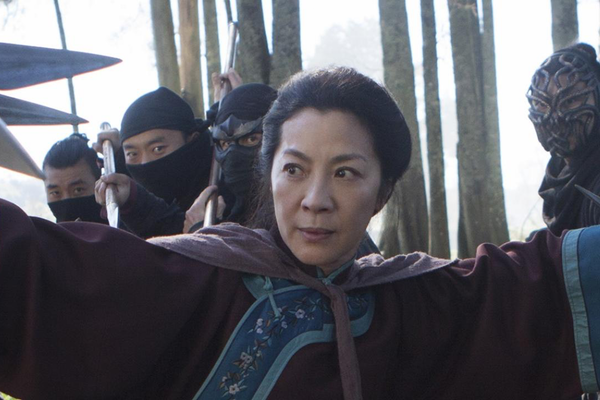 In fact, one such exclusive arrives this week, in the form of a sequel to the Academy Award-winning Crouching Tiger, Hidden Dragon. Elsewhere, you'll find a family US TV show that is back by popular demand, a Hollywood re-telling of a tale as old as time itself, and a surprise anime hit that looks set to become the next multi-platform triple threat. Of course, a week on Netflix can't exist without a big-name draw, and in this case it's the turn of the world's favourite puppets to headline your viewing over the next seven days.